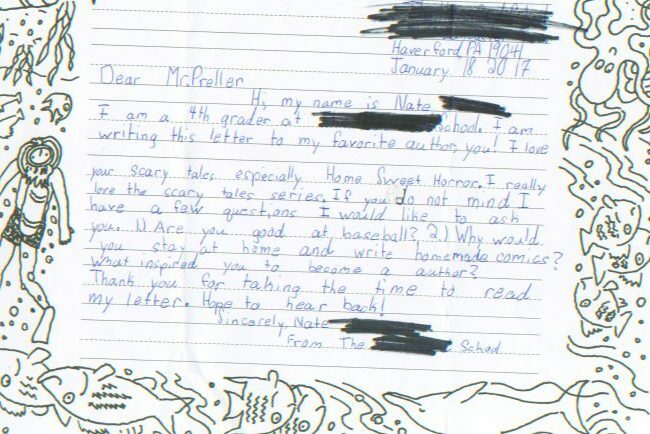 Thank you for your letter all the way from Haverford, PA. It’s an honor to be thought of as your favorite author. Am I good at baseball? Ha, well, not particularly. But I do love the game, and I still love playing it. I now play in a ridiculous 55-up men’s hardball league. Imagine very old guys who can barely move attempting to play baseball — like trying to walk through a room full of Jell-O — and that’s us. But there we are under the sun, playing in the green fields of the mind, as if we were boys again. I can still steal a base, I can still break off a pretty good curveball (okay, it rolls in like a tumbleweed), I can still hit. The other part I love is the competition. As a hitter, to come up in that big spot and try my absolute best to beat the other guy. And that feeling when the ball jumps off the sweet spot of the bat into the left-center gap? I love that. I’ll play for as long as I’m able. Why not? Have you read my book Six Innings? 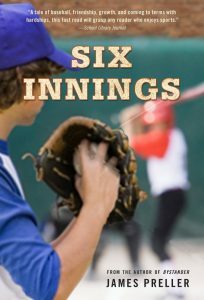 I poured all my love for baseball into that book. As the youngest in a large family, I always sought those quiet places, tucked out of the way. I did a lot of jigsaw puzzles (thus: “Jigsaw Jones”), invented games with dice, drew pictures, and read (a little bit). Reading didn’t come on strong until later. Making comics just happened naturally. I think creative people are like that. We can’t help but make things, throw ideas up into the sky just to see what falls. 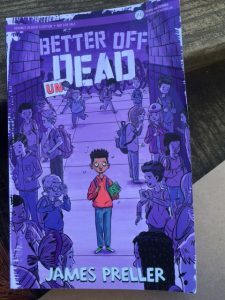 This October I have a new book coming out, Better Off Undead, that’s set in the not-too-distant future. It might be right for a reader like you. 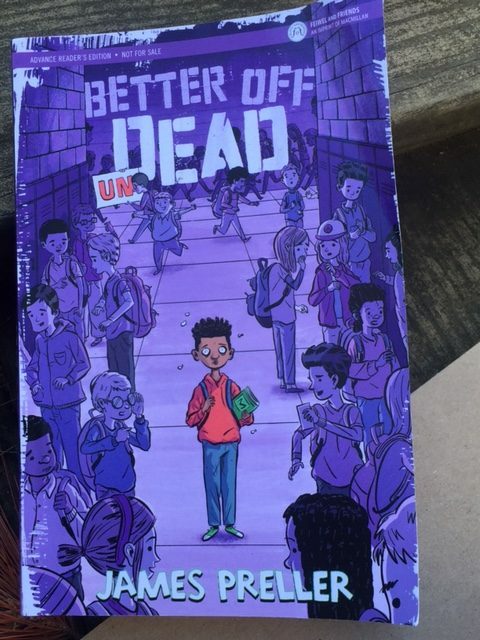 To sum it up in one sentence: After becoming undead, Adrian Lazarus has to survive middle school. The book is also concerned with bees and bullies and spy drones and climate change, and there are “thriller/detective” elements and evil billionaires too. I’m excited about it. The book’s not scary, but I do hope it’s smart, timely, and wildly entertaining. P.S. Thank you for the SASE, very considerate & much appreciated!